Thousands of patients currently waiting for a liver transplant across the United States could wait longer or die waiting for the life-saving surgery if a new, proposed policy goes into effect. The proposed change redistricts the current 11-region system to an 8-region system, expanding the geographic areas in which a limited number of organs are allocated. 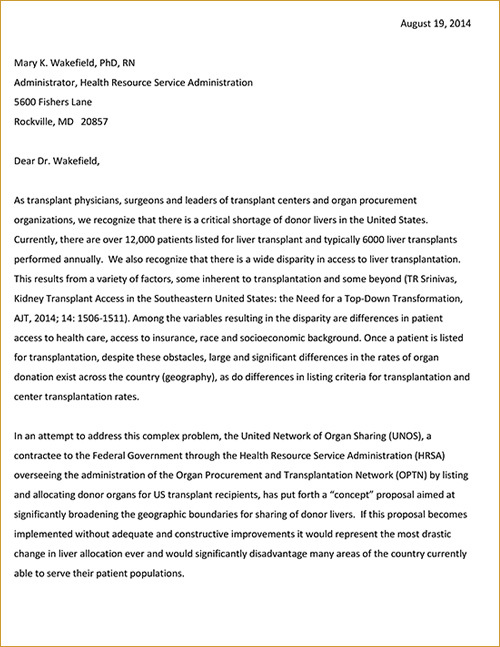 More than 63 percent of states performing liver transplants have had transplant centers publicly oppose this proposal. 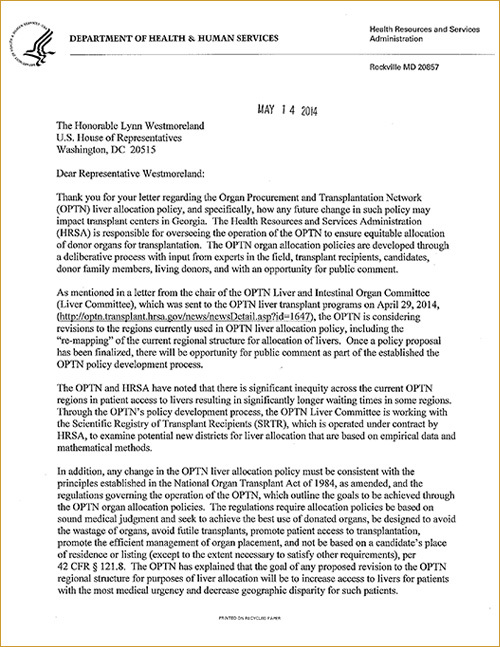 Several polls of the transplant community have overwhelmingly vetoed the proposal’s measure for redistricting—but to no avail. If we don’t take action, donated livers will be sent from areas with high waiting list mortality to areas with low waiting list mortality. 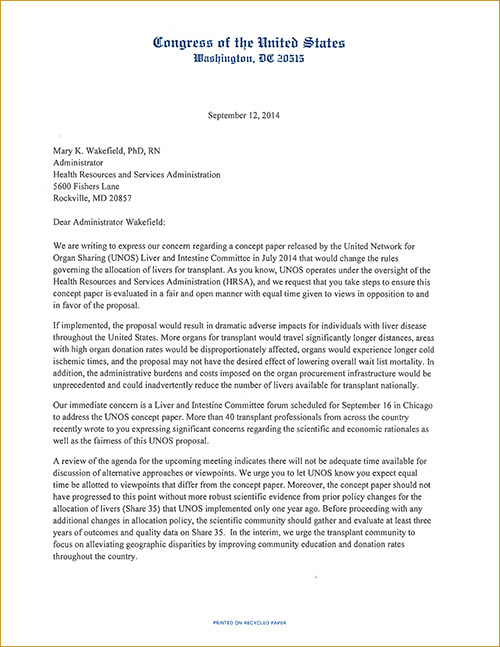 Submit your opposition to this proposal through public comment by October 15, 2016. Why are we opposed to this proposal? Doctors in the Northeast grant MELD exception points to more than 40 percent of their patients. This artificially increases the MELD score required for transplant and leaves patients that do not qualify for exception points waiting until they are at death’s door for a liver transplant. 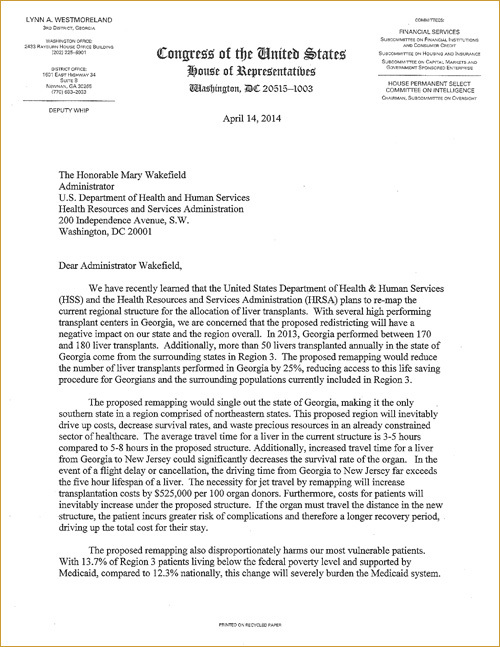 Livers will be sent from areas with high waiting list mortality rates to areas with low waiting list mortality rates. 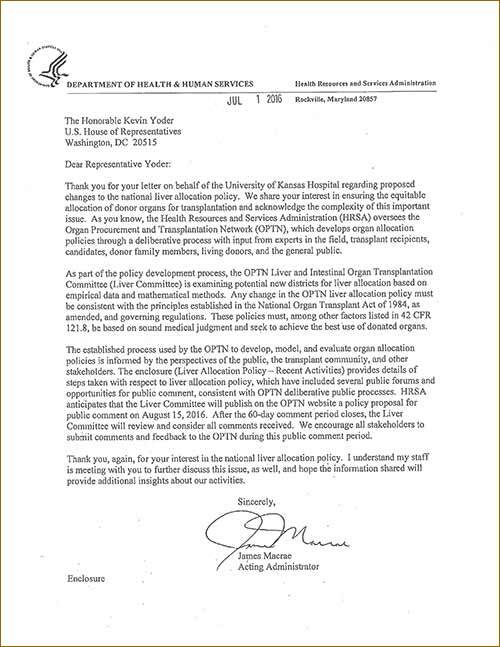 Also, the proposal inadvertently disadvantages minorities, lower socioeconomic candidates and those in rural areas, most significantly in states with high organ donation rates. The solution is to improve organ donation rates across the country, especially in New York. The Southeast has a significantly higher burden of liver disease than the Northeast. Georgia, in particular, already suffers substantial health-related disparities including lower numbers of insured patients, fewer available doctors and higher rates of preventable deaths. This proposed changes only will add to these issues. 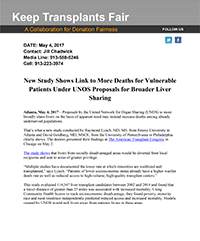 Finally, there is a huge conflict of interest within the UNOS (United Network for Organ Sharing) committee responsible for this proposal. 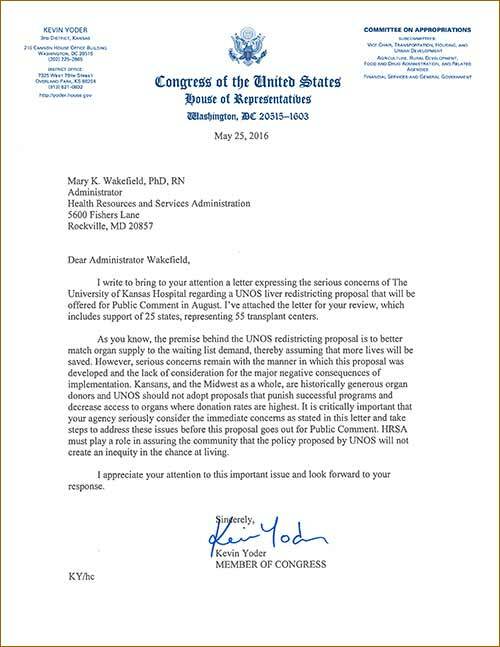 Not only is the leadership of this committee made up of a group of physicians from institutions that would benefit from the proposed model, the designer of the model and chief of model development is associated with programs that stand to gain from this proposal as well. What is a MELD score and why does it matter? 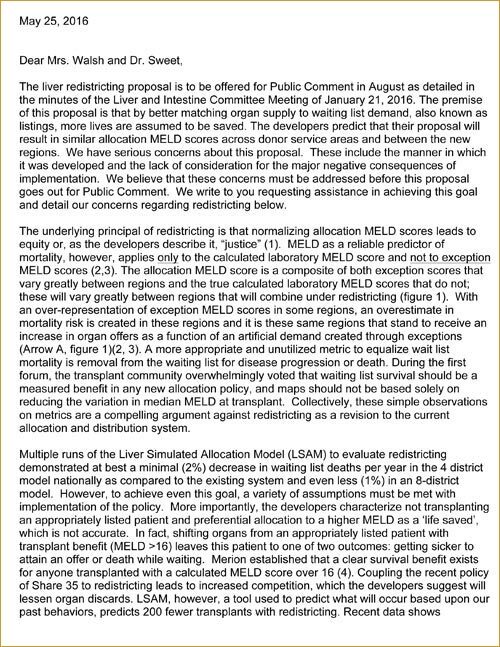 MELD scores are used to determine a patient’s place on the liver transplant waiting list. To fully understand this issue, it is important to understand that the laboratory MELD score is based on lab values shown to reliably predict the risk of death in patients with end stage liver disease. MELD scores range from 6 to 40. The higher MELD score, the higher mortality rate. The problem is that certain regions grant a lot of “exception points” to patients and these points artificially inflate MELD scores. How will the “Redesigning Liver Distribution” proposal change the current system? The 11 regions would be changed to 8 districts. Georgia will be part of District 1, which would also include Maine, New Hampshire, Massachusetts, Rhode Island, Connecticut, New York, New Jersey, Delaware, Maryland, Washington DC, Virginia, North Carolina, South Carolina and Puerto Rico. 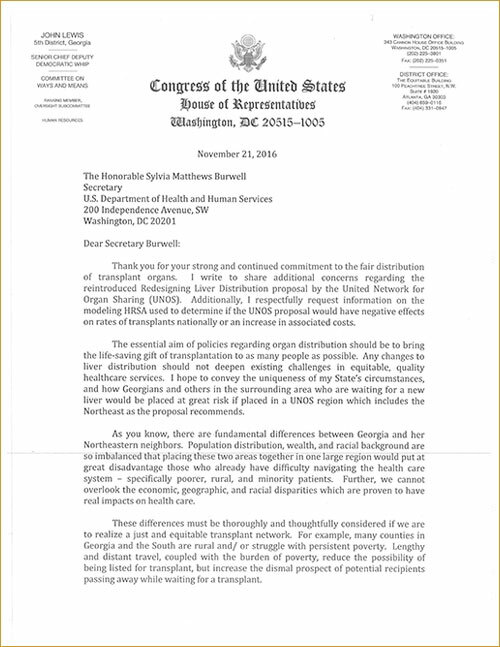 Within this district, we would share livers across state lines for patients with MELD scores ≥ 29. Recipients within 150 miles of the donor hospital would receive 3 additional MELD points. What is the current system of liver allocation? The United States is currently divided into 11 regions. Georgia is in Region 3, which also includes Alabama, Arkansas, Florida, Louisiana, Mississippi and Puerto Rico. Within Region 3, we share livers across state lines for patients with MELD scores ≥ 35. 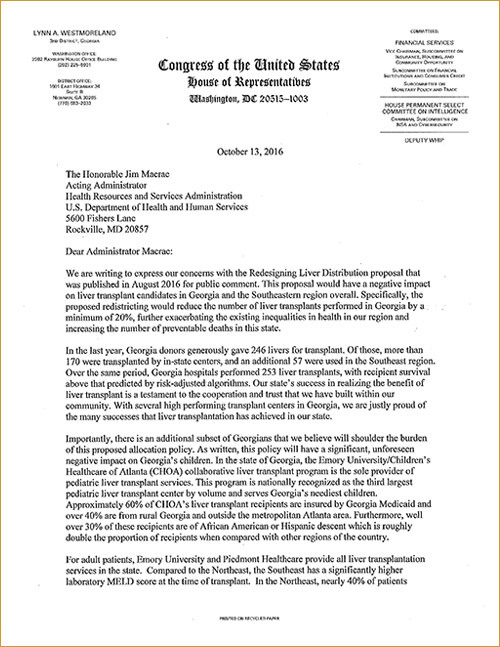 If there are no patients in the region with a MELD ≥ 35, livers from Georgia donors are given to Georgia recipients. Sign up here for the most up-to-date information on our progress. For more information, please feel free to contact our collaborative partners by completing the form. ©2017 KeepTransplantsFair.org and Piedmont Healthcare. All rights reserved.